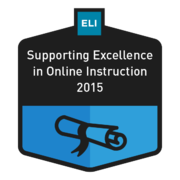 This badge recognizes those who successfully completed the 2015 ELI Course: Supporting Excellence in Online Instruction, as well as all related projects or activities. Individuals who earned this badge successfully engaged in and completed a 6-hour course facilitated by community experts on how to support excellence in online instruction. Badge earners completed all assigned projects and activities related to the course’s learning objectives. 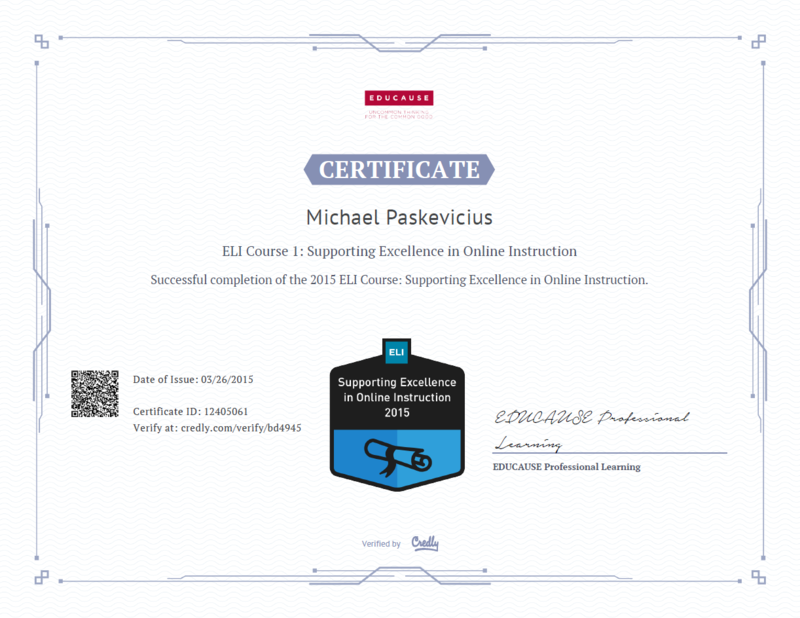 ELI Course: Supporting Excellence in Online Instruction by Michael Paskevicius is licensed under a Creative Commons Attribution 4.0 International License.